Domain spammers : Enjoy the weekend. Domain spammers filling up the inboxes of investors, harvested straight from the WHOIS, are taking a big break this weekend. “Our informational cyber-promotions offer massive value to domain investors and we appreciate the constructive feedback. With more than 2 billion emails sent in 2016, the DSIA acknowledges we provide a public service, and we are grateful for the ability of our members to follow association guidelines. Weekends are sacred for everyone, and as it is, nobody seems to care about incoming mass email solicitations. Our decision to drop our weekend mailings to 1% of its previous volume, is a conscious decision to ease any existing tensions, and to provide quality mass email solicitations during the five workdays of the week. 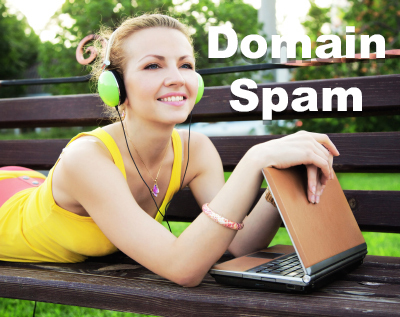 Domain investors plagued by emails from female impersonators, should notice a drop in spam volume starting this weekend. Regardless, if you do receive any unsolicited email, do not be tempted to respond in an insulting manner, as you might hurt the feelings of the Domain Spammers Internet Association – just delete your domain instead, and brace yourself for a busy Monday.